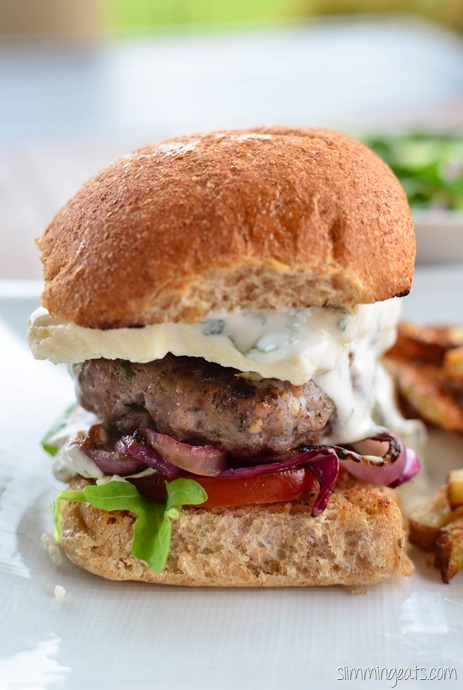 Fancy a burger night? 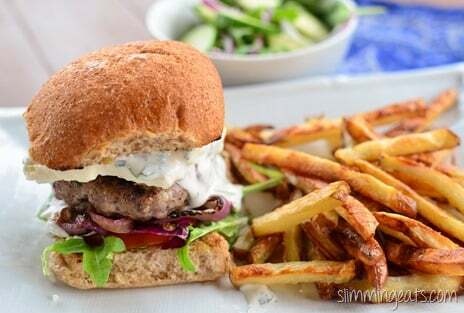 Make these delicious Greek Style Lamb Burgers. 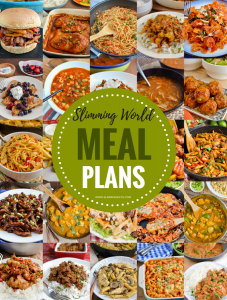 I like to pair them up with a big mixed salad and my Perfect Syn Free Fries, but for a original day, they a filling enough with just a big side salad. 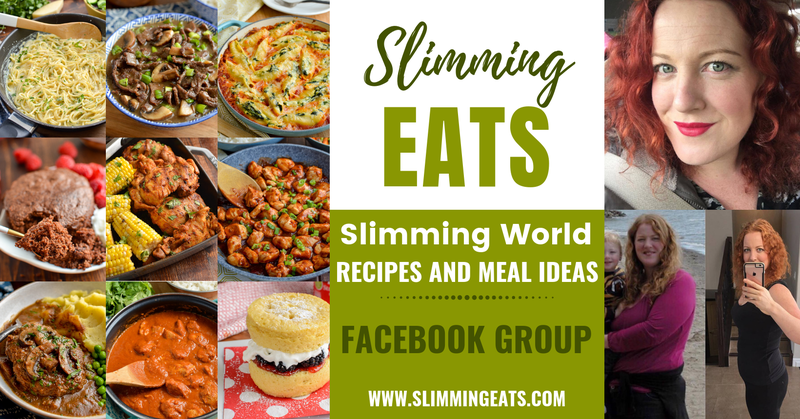 In a large mixing bowl add all the ingredients for the burgers and bind together and form into 4 equal size patties, placing a thumbprint dent in the centre of each. Refrigerate for approx 1 hour prior to cooking. Spray a grill or cast iron pan with spray oil. Add the burgers and slices of red onion and grill or approx 6 mins per side till nice and golden and cooked through. 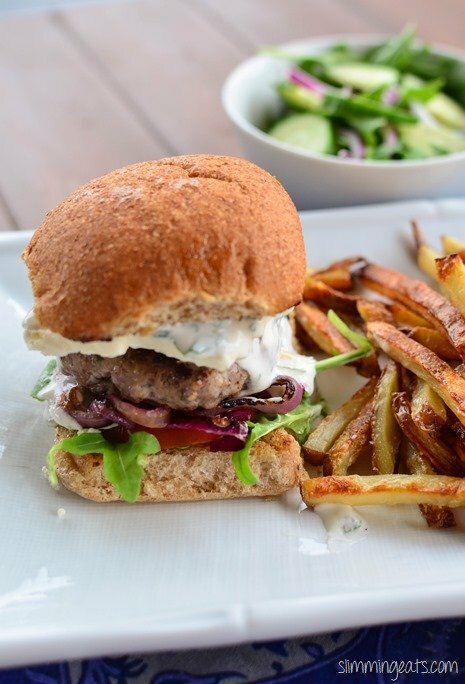 Slice whole wheat rolls in half, top bottom half with arugula, tomato slice, grilled onion, burger, then top each burger with ¼ of the feta and a spoonful of mint yoghurt, before topping with the whole wheat roll top. Serve with your choice of sides. I served with a side salad of arugula, cucumber and red onion and my perfect syn free fries.